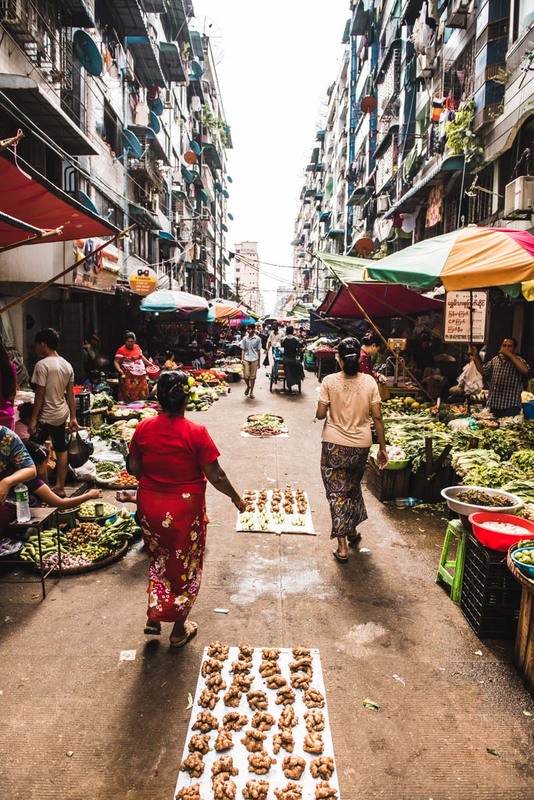 It seems like only yesterday, that we first discovered and fell in love with the chaos of Yangon. 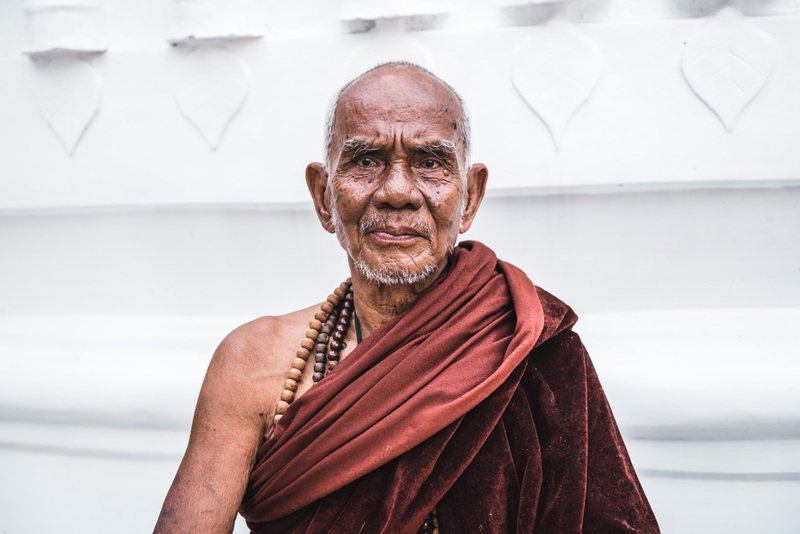 As a matter of fact, our first trip to Myanmar was almost 5 years ago, but it seems like in all that time, not much has changed and our unwavering fascination for this country fuels our curious and wandering spirits. Sure enough, by now, one does not stand out so much as a ‘tourist’ and seldom only receives those disbelieving glances, thanks to the growing amount of tourism here. 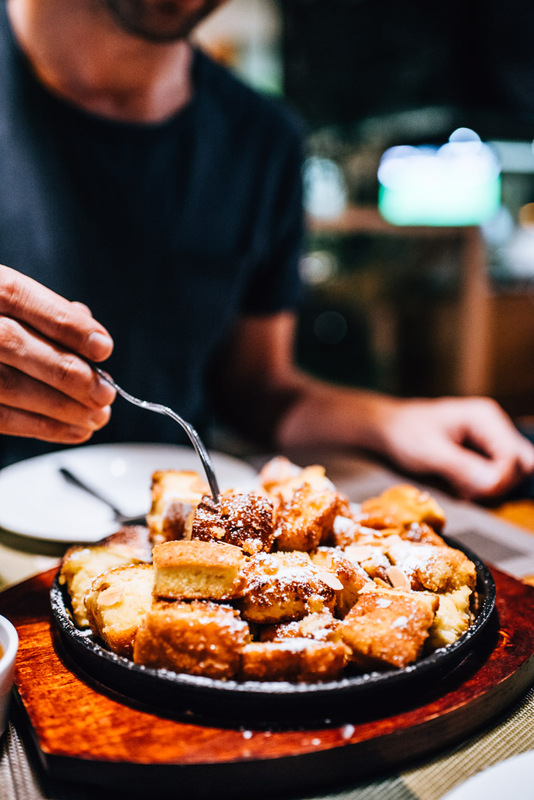 A myriad of restaurants have been tailored to foreigners, along with increasing constructions of more comfortable and luxurious accommodations. 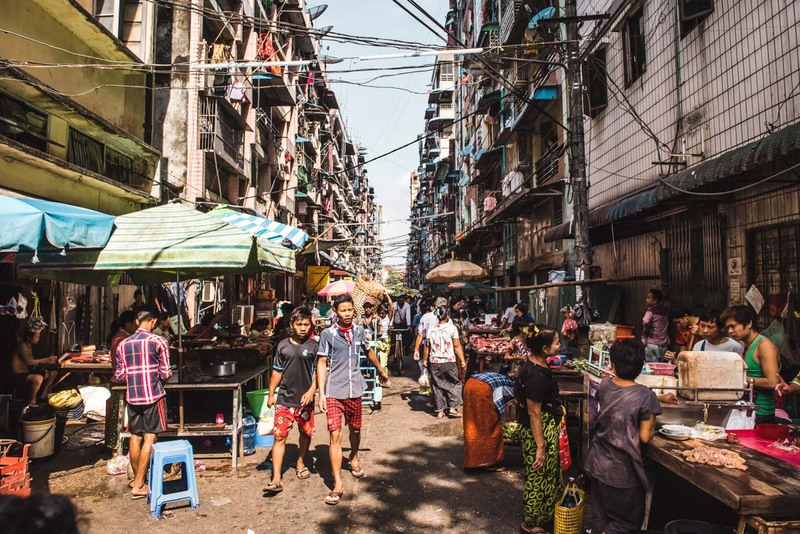 But at the heart of it all, it’s still the same Yangon we remember – 5 years later, walking down these familiar streets, we were hit with the same wave of amazement and sense of wonder. 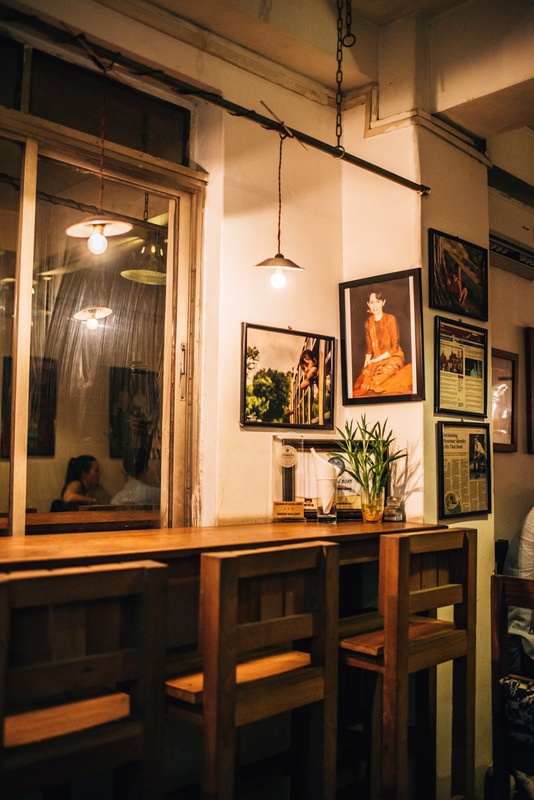 In this blog article, we’ll share with you the most beautiful sights in Yangon and of course, our multiple tried and tested restaurant tips and reviews. Your trip to Yangon will most likely start (and/or end) in Yangon as that is where most of the international connections to Myanmar are. 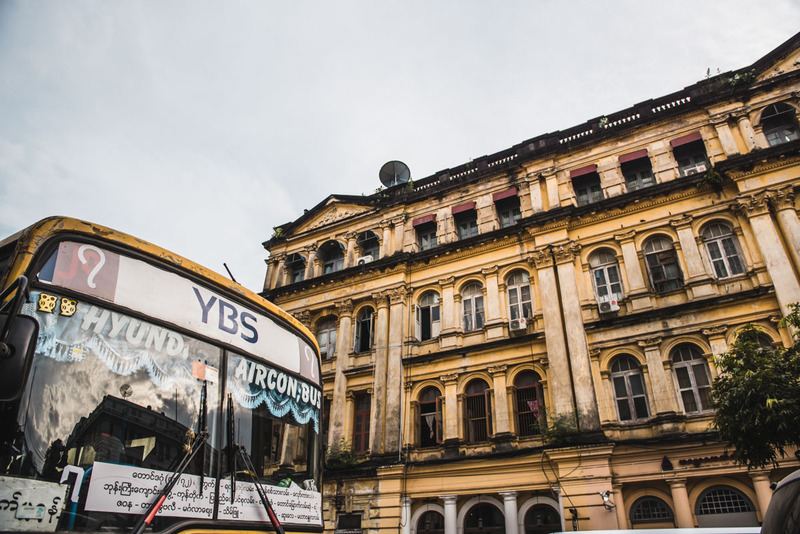 For us, Yangon was the first stop on both our Myanmar trips. For some reason, we really wanted to immerse ourselves completely this time, in the big city chaos of Yangon. However, little heads up that Yangon is by far the most chaotic, busiest, loudest and dirtiest place in Myanmar. Which also implies that, if you can grin and bare your way through here, then you’ve done well and your future travels in Myanmar will be a breeze in comparison. 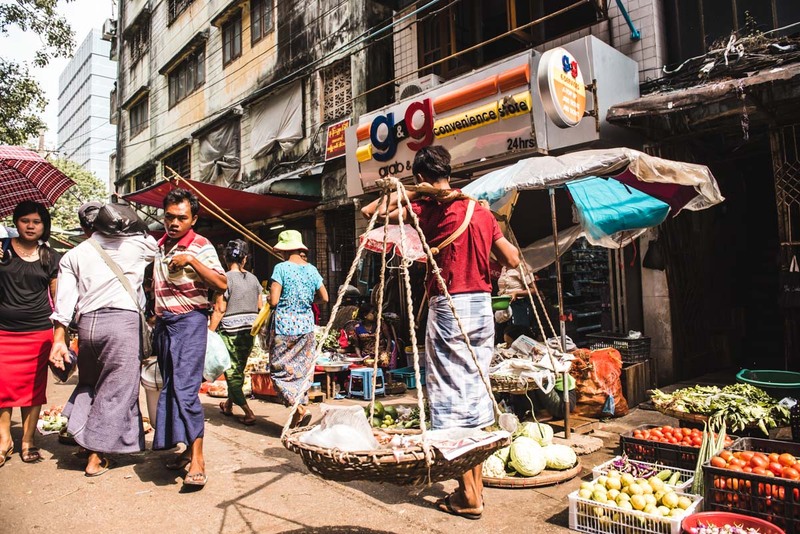 Yangon is hard to put into words – you just have to experience this city. We would recommend you stay at least two night in Yangon. The longer the better of course, but two days is enough to get a good feel of the city and to see the main sights without too much stress and time pressure. 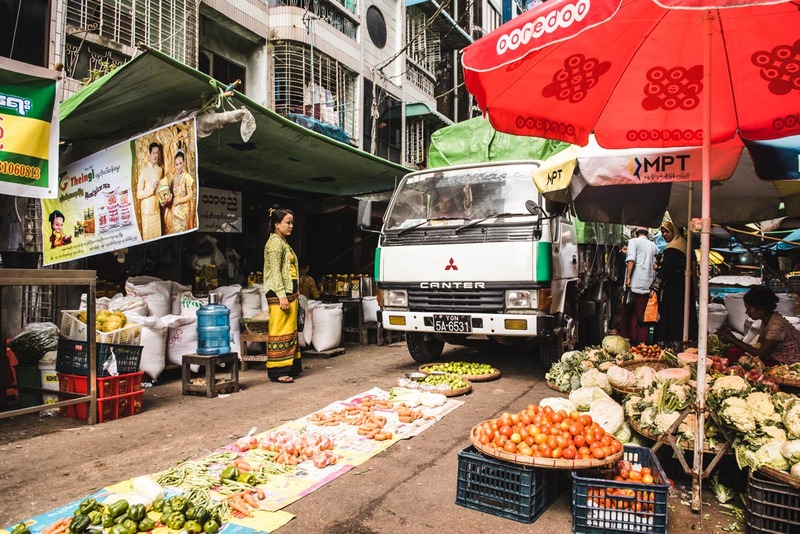 Yangon actually has more sights and activities than you’d expect. Sure, everyone knows the gigantically stunning and one of the most fascinating monuments – the Shwedagon Pagoda. But aside from all the pagodas and temples, there are plenty of interesting things to keep you occupied for days on end. 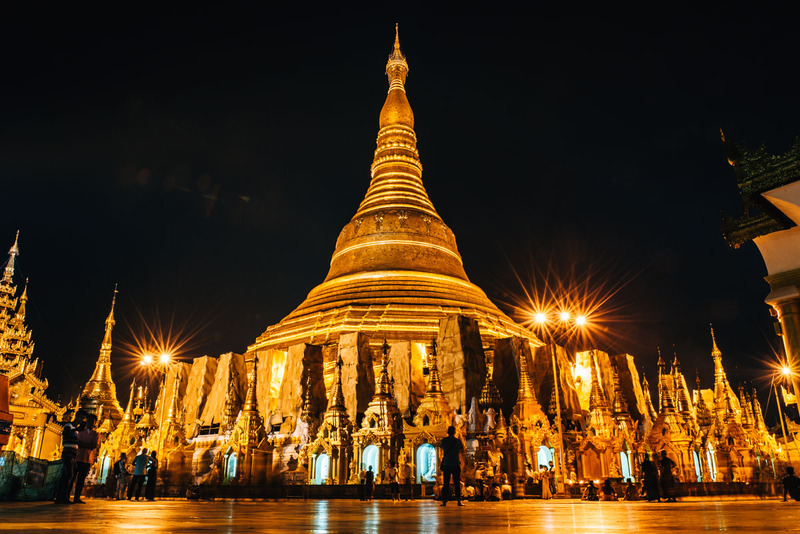 If you only have time to see one attraction in Yangon, then it has to be the Shwedagon Pagoda. We promise you won’t regret it, the experience will be hypnotised into your memory forever. This towering giant is the landmark of Myanmar and also recognised as one of the most important Buddhist sanctuaries in the world. Superlatives can not even begin to describe nor do this place justice, the marvel that towers almost one hundred meters in the sky, in the middle of Yangon. 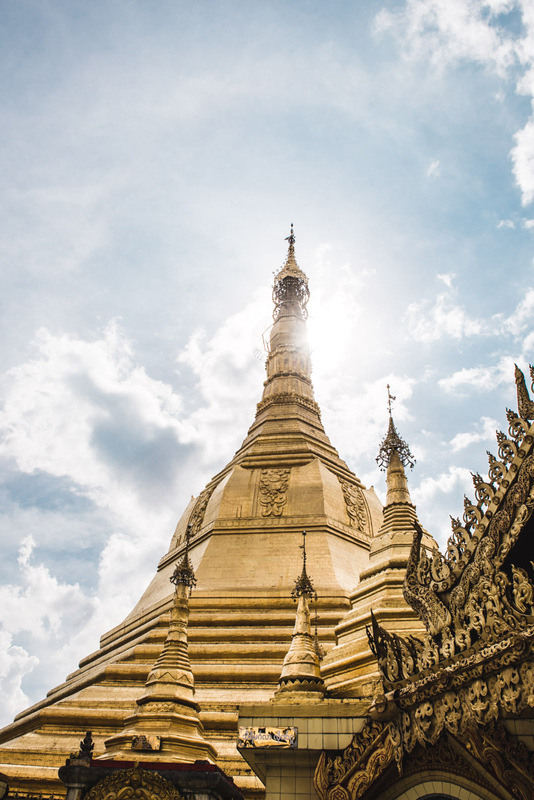 The Chedi of the Shwedagon Pagoda has been estimated to hold 60 tonnes of gold in its structures! Studded with thousands of diamonds and gemstones, there is a magic emanating from the pagoda that cannot be put into words. Once you get there, you’ll be left jaw dropping, staring in awe. 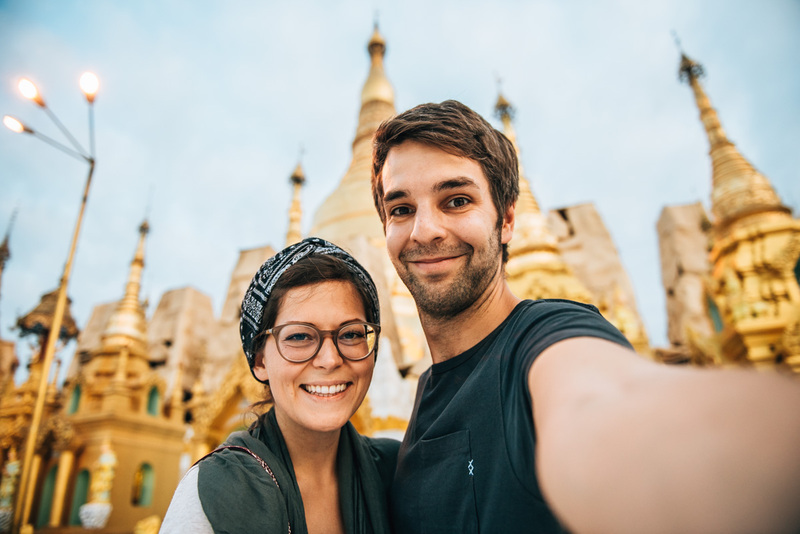 For that reason, we also recommend that you allow yourself enough time to explore the Shwedagon Pagoda. We’d also suggest visiting shortly before sunset so that you can see the Shwedagon Pagoda basked in golden lights and soaking up the last rays of day, and then later, as the darkness consumes the end of day, the Pagoda puts on it’s own show of lights until it’s glowing like a golden kingdom under a starry night sky. Watching the transition and feeling the change in mood and scene as the sun set, was incredibly mesmerising. On our most recent visit we got there around 4pm and stayed till around 7pm. It’s something we would definitely do again! Dress code: Women and Men must have their knees and shoulders covered, there is also the option of borrowing a sarong (“Longyi”) (2,500 kyat per use). Note: As with all the religious sites in Myanmar, you also have to take your shoes and socks off here in the Shwedagon Pagoda. Unfortunately there’s no one place dedicated to ‘cleansing’ your feet once you enter so we can only promise you that you’ll get use to it soon enough! 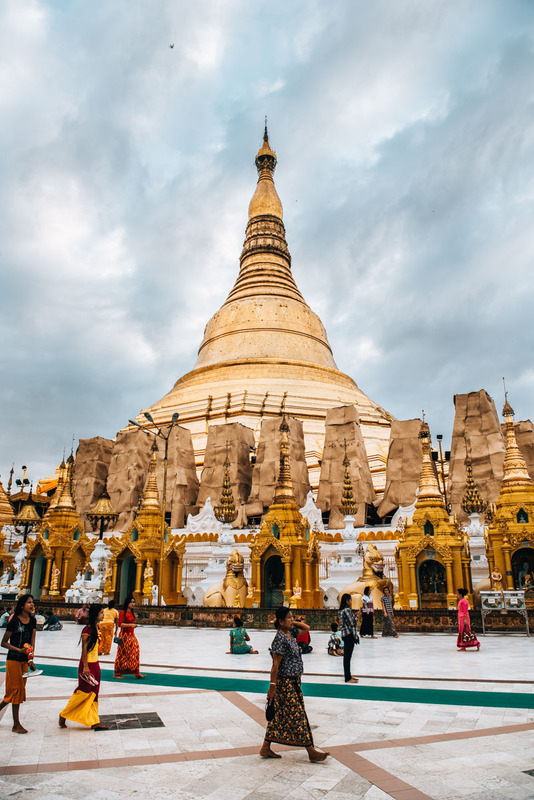 The Sule Pagoda is not nearly as spectacular as its “big sister”, however precisely because most of the visitors are drawn to the Shwedagon Pagoda, you’ll find it much more peaceful around the Sule Pagoda. 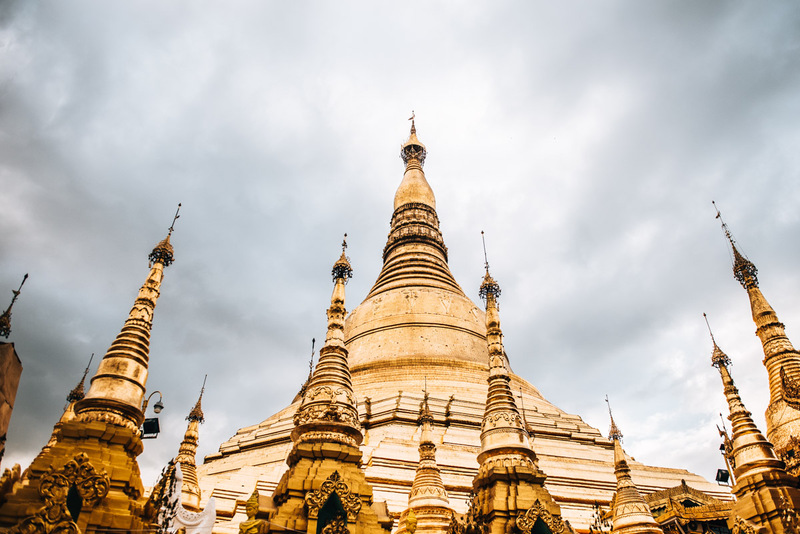 If you happen to be nearby and in that area already, then the Sule Pagoda is certainly worth a visit! But in our opinion, not exactly one of those absolute must-sees in Yangon. Dress code: Same as with the Shwedagon Pagoda, both men and females must have their knees and shoulders covered, or can borrow a sarong (“Longyi”) (2,500 kyat per use). Shoes and socks must be taken off. Getting there: Sule Pagoda is located in the middle of a busy roundabout in the east of the old town. If you’re coming from another district, take a taxi (about 3,000 kyat). Another place well worth seeing is the China Town’s street market, which starts about the 19th street and moves east. The most interesting and not to mention the most chaotic, was the market on the 26th Street. Be warned however, that you need a strong stomach to be able to withstand the smell as we personally found the sweet stench of meat, saturated in the air we breathed, inescapably horrid. So our tip is to pinch your nose and brave it through as the market is very impressive and worthwhile seeing. Myanmar was once a British colony. 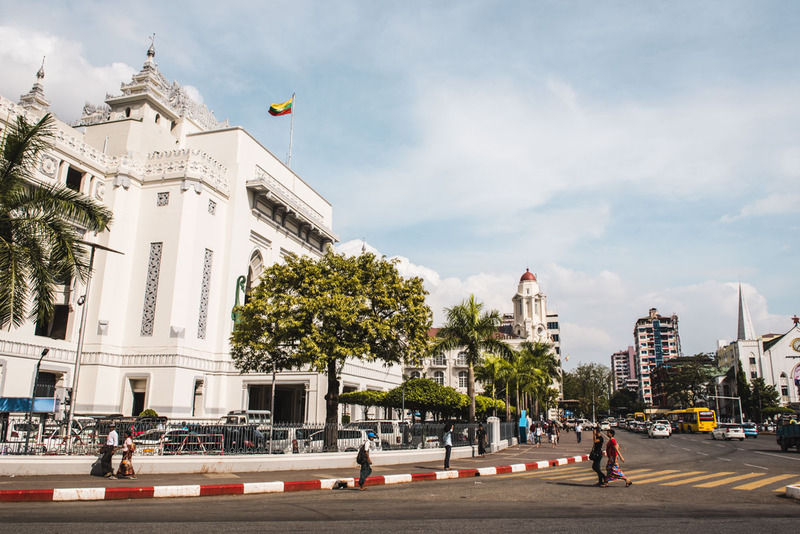 Yangon (or Rangoon, as the city was called back then) is one of the few places in which many of its buildings from ancient times have been preserved. 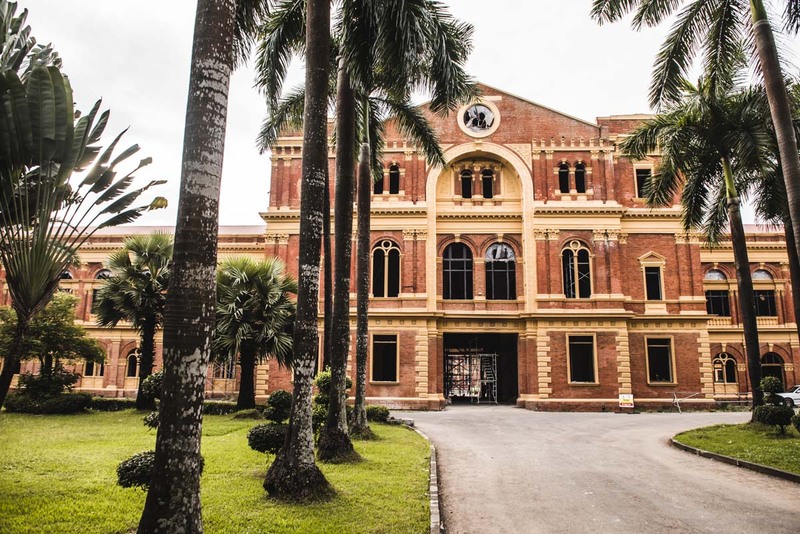 Therefore, you will find numerous colonial buildings throughout Yangon. Some have long since rubbled away, while others have been renovated and look really nice! 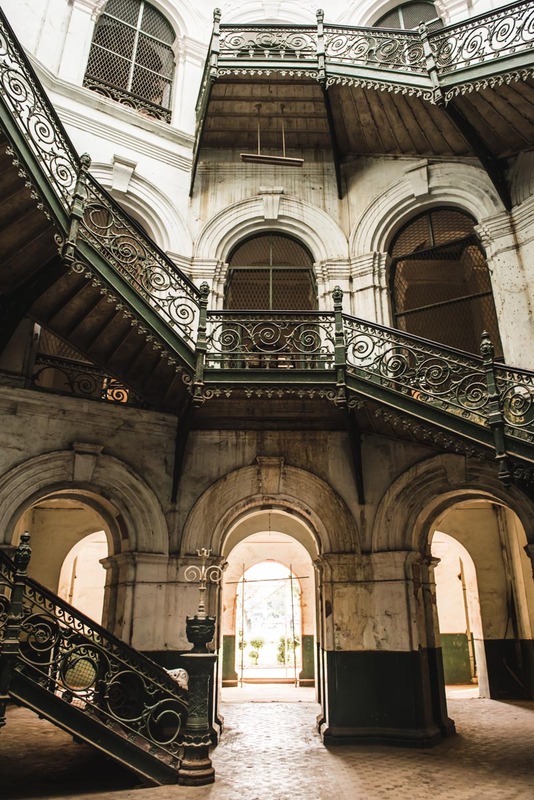 If you want to see the most beautiful colonial buildings in Yangon, then you should start north of the Sule Pagoda. Here you’ll find the city hall of Yangon. 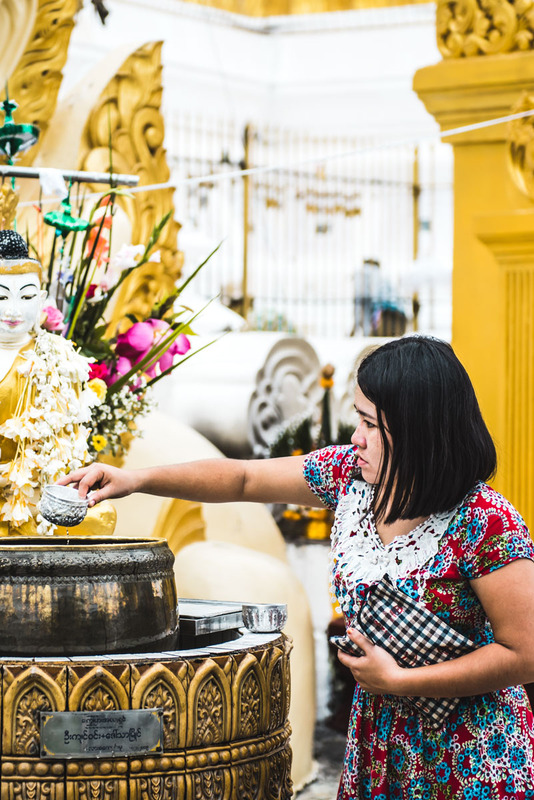 As you head south past the Sule Pagoda, you’ll arrive at a huge square (“Maha Bandula Park”). Here you’ll find the High Court. If you make your way further south (to the river), you will get to Strand Road. 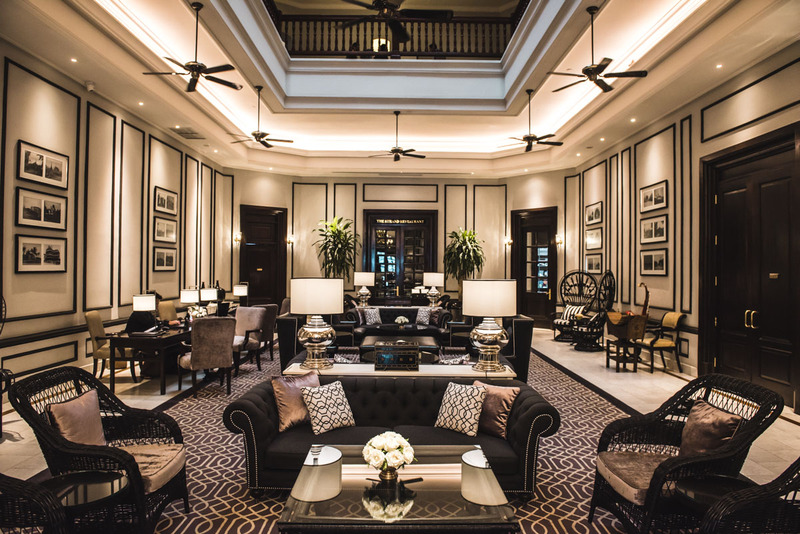 Here you’ll find what is probably the most famous and magnificent Hotel in Yangon – the “Strand Hotel”. An overnight stay here is out of the question for the average traveller on a budget, you’d be forking out at least 350 euros for a double room. 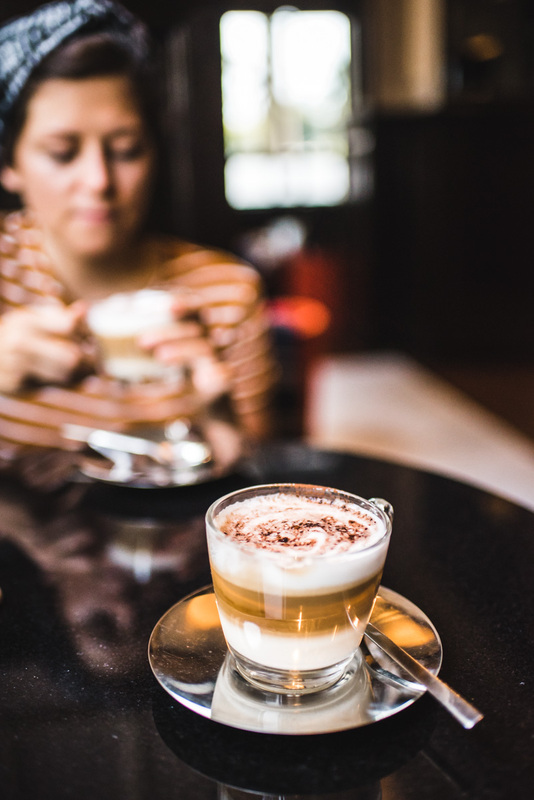 Nevertheless, we were curious to see the hotel’s interior design and so we spontaneously decided to check it out and enjoy a coffee in the very fancy hotel bar. 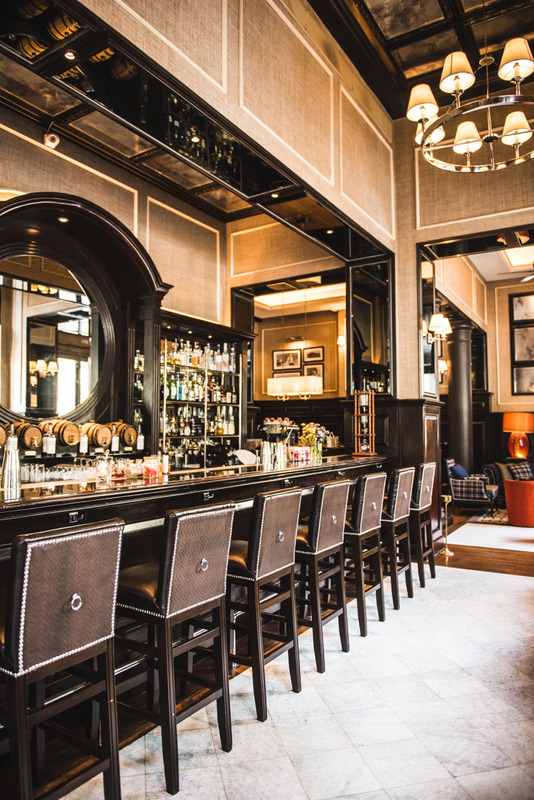 While we would consider this a rather expensive luxury, we would still recommend it, especially if you feel the need for a little breather after the chaotic hustle and bustle. For two cappuccinos we paid 12,880 kyat (about 8 euros). A very special attraction and also a colonial heritage, is the Minister’s Building, also known as The Secretariat. In 1947, an independence fighter General Aung San and six Cabinet ministers were murdered here. The huge building complex is currently being renovated (as of December 2017) and will soon house various museums and also a restaurant. The area looked fenced off and so we initially thought that maybe visitors weren’t allowed to see the interior. But as we approached the entrance (on Thein Phyu Road) we were greeted warmly and asked by two employees if we might like a tour. For 8,000 kyat per person, we were led an hour or so through the now very rubbled down structures and also passed through the hall where Aung San was murdered. If you’re on limited time in Yangon, the Minister’s Office isn’t really something that you absolutely have to see. Nevertheless, it was still worth it without a doubt! 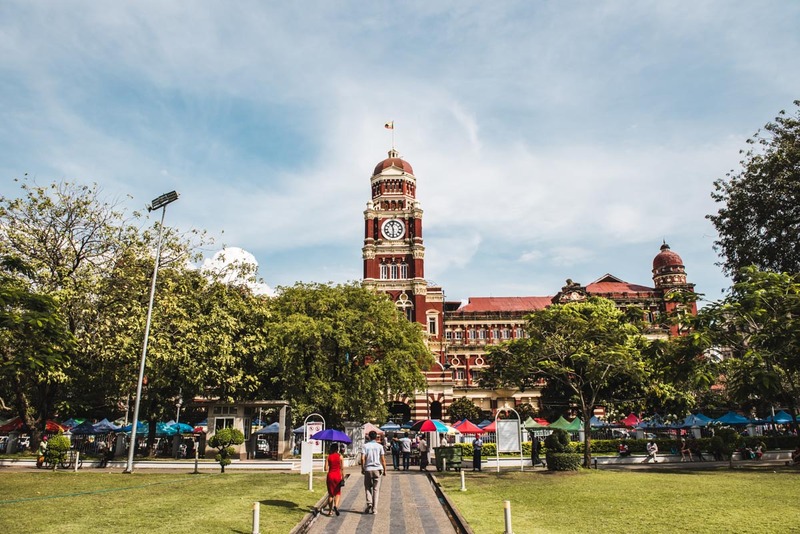 If you’re spending more than a day or two in Yangon, then you should go check out the Circular Train, where you can hop on board and it’ll take you on a circular journey around Yangon. To say it was a smooth ride is an understatement, it was more like a 3-4 hrs of rumbling and chugging. Back then, we were the one of the very few, rare sighted foreigners, but that’s changed quite a bit now. 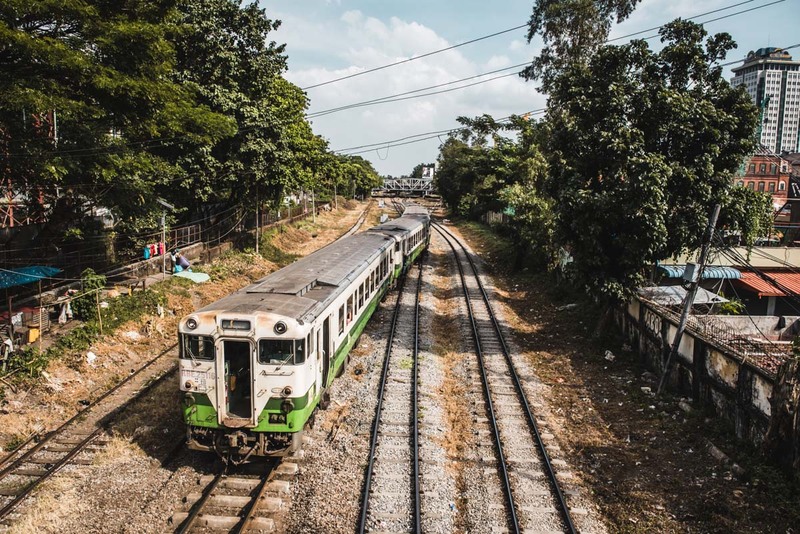 The train ride is surely an experience worth doing, you can also buy tickets just before departure directly at the Central Railway Station, and when converted, doesn’t even amount to one dollar! A little tip: If you find the entire 3-4 hours journey a tad too long then you can always just ride to one section and taxi back. 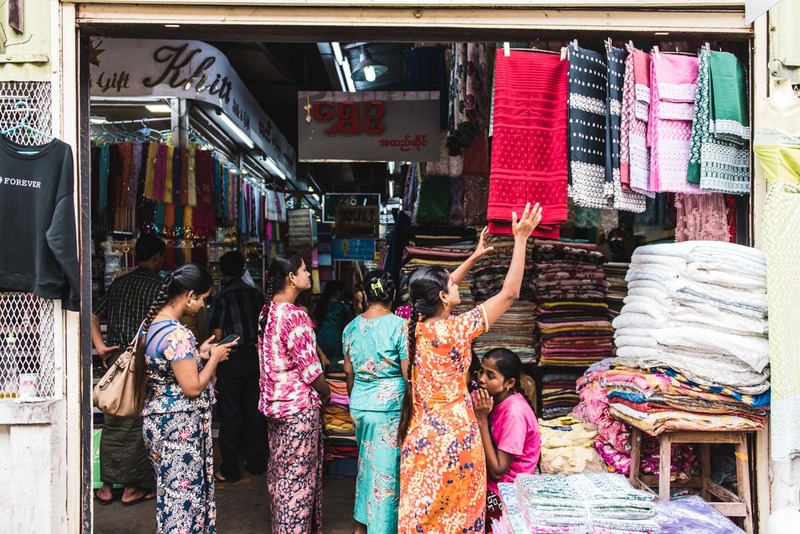 The Bogyoke Aung San Market is the most famous market in Yangon, but in our opinion, not an absolute must-visit, as it has become quite touristy, especially on the ground floor. However, if you do go, we would suggest also checking out the upper floor, where there are fewer people so it’s not as easy to get lost, and you can actually look over the should of the seamstresses at work! 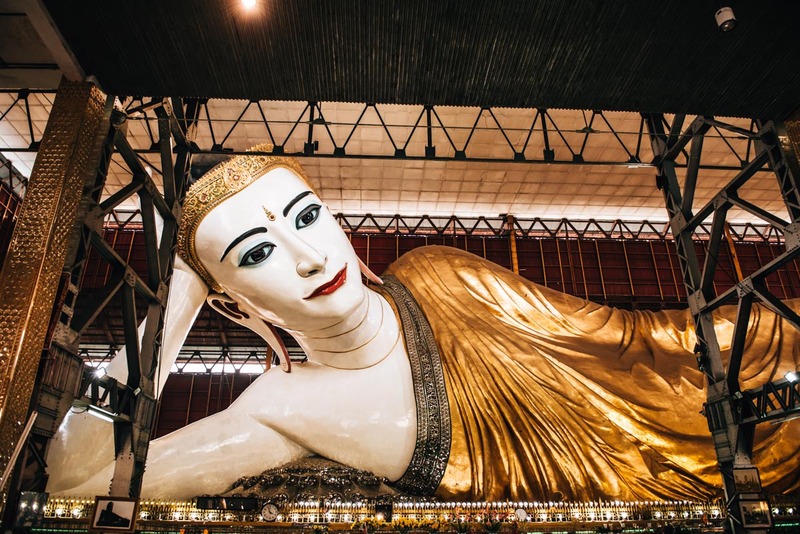 This gigantic reclining Buddha is approximately 70 meters long and one of the largest in Myanmar. It’s a bit of a pity to see these Buddhas under corrugated iron, of course we understand they have to be protected from the weather, but still, it does take away a lot of the grandeur. 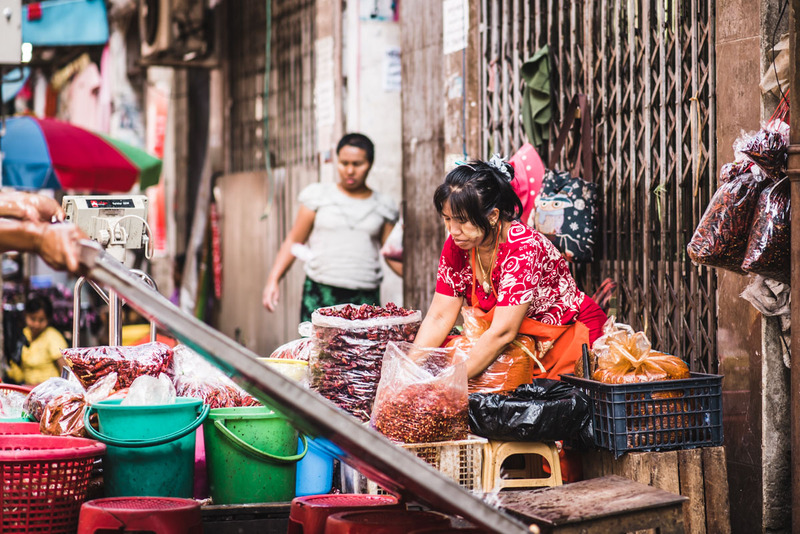 If you have enough time in Yangon, it’s definitely worth a visit but not an absolute highlight in Yangon. If you’re coming from the old town, it’s best to take a taxi as it’s too far by foot, the ride should cost roughly 3000 Kyat. The Buddha is situated north of Lake Kandawgyi, so it might be worthwhile to combine your visit to seeing both. Admission is free. 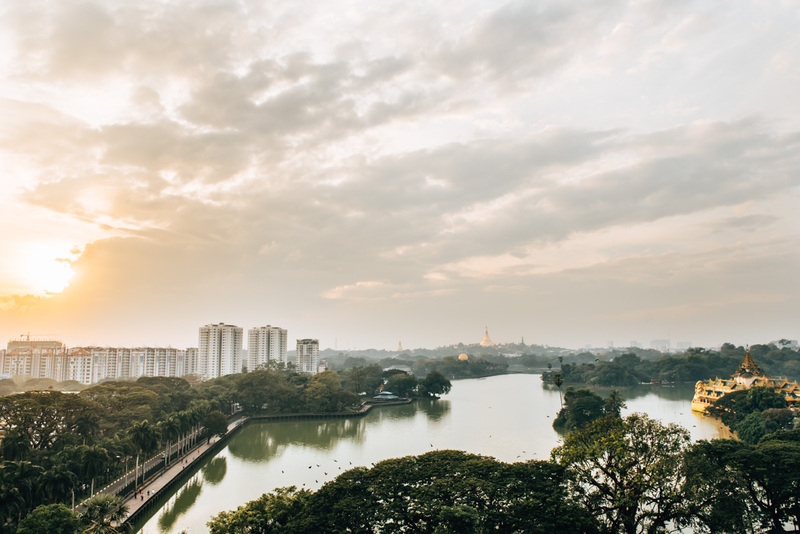 If you have plenty of spare time and decide you want to take a break from all the hustle and bustle of Yangon, then you should go and check out Kandawgyi Lake. This man-made lake is north of the old town and is more of a recreation area. Locals come here for a stroll around the lake. A little tip: You can steal yourself a gorgeous view, especially during sunset, of Lake Kandawgyi from the rooftop bar of Hotel Esperado. You can find more about it under our restaurant tips section further down. Start your day early, spend the morning exploring the China Town street markets and let yourself go with the flow. Then you make your way towards the Sule Pagoda. 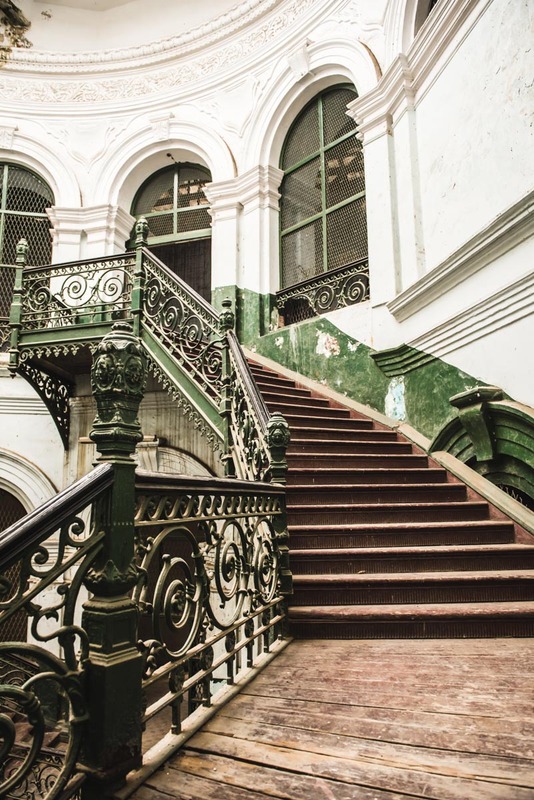 From there you can stroll around and explore the city’s most beautiful colonial buildings. You can also take a taxi to the Shwedagon Pagoda just before sunset, but do make sure to stay until it’s completely dark before leaving. You won’t regret it as it’s incredibly magical at this time. 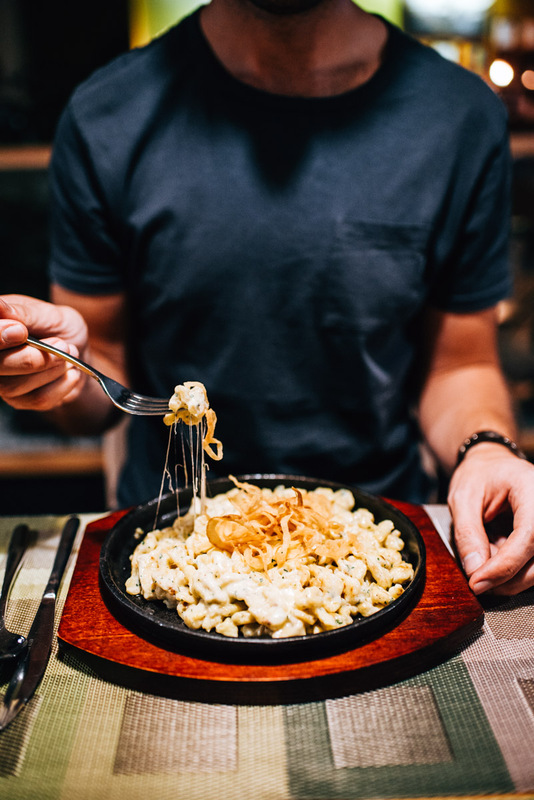 Dinner-wise, you can easily catch a taxi to a restaurant. Our absolute favourite has got to be “The Green Gallery”. More about that in the next section. 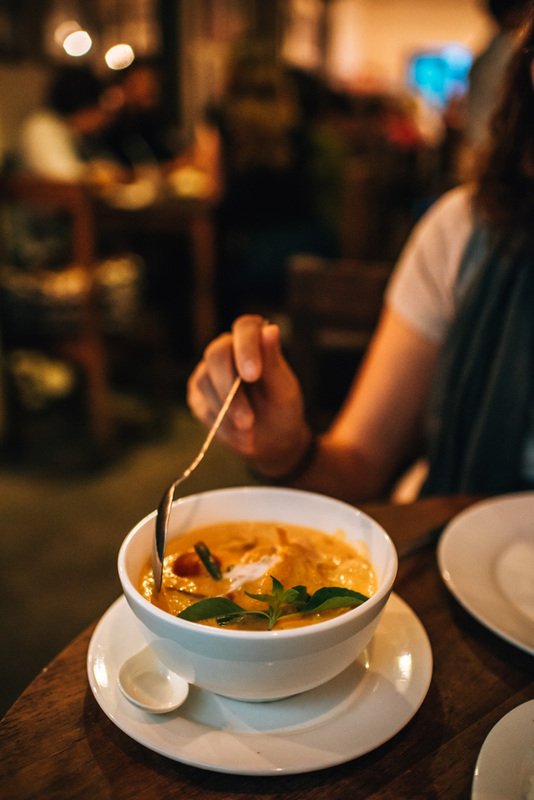 Our unrivalled number one, where we find that the most delicious Thai curries are actually made here, surpassing those we’ve tried in Thailand! More importantly, extra brownie points for the huge variety in vegetarian options! The owner here is wonderful and the atmosphere very cozy. For a dinner for two we paid about 15,000 kyat. Our tip: Try the Masaman Curry! Address: 84 Pan Hlaing Street, Yangon (outside the city centre). We got there by taxi. 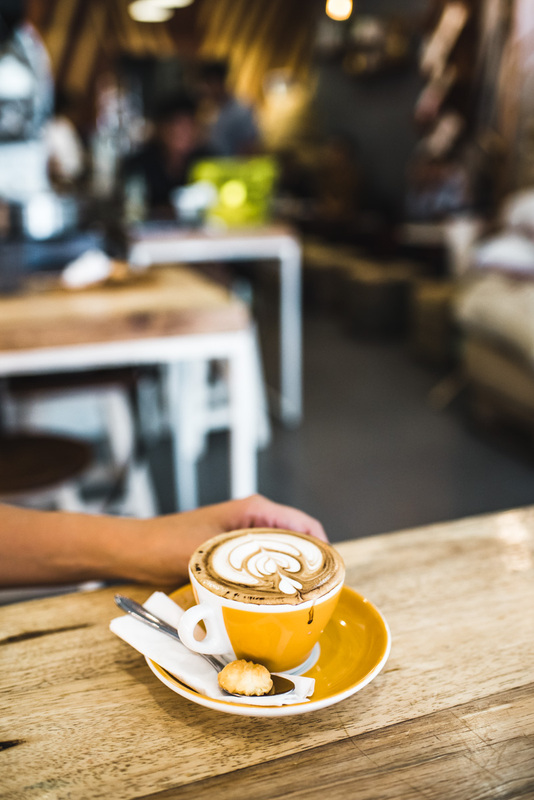 If you fancy good coffee, then you have to make a stop by the Easy Cafe, as they serve excellent espresso and cappuccino. The customers here at Easy Cafe are mostly expats working away on laptops. Prices are rather reasonable with a cappuccino costing around 3,600 kyat. The area around the Easy Cafe is also very tidy so to say, at least when compared to the city centre. We spotted a surprising amount of Westerners and tourists there. 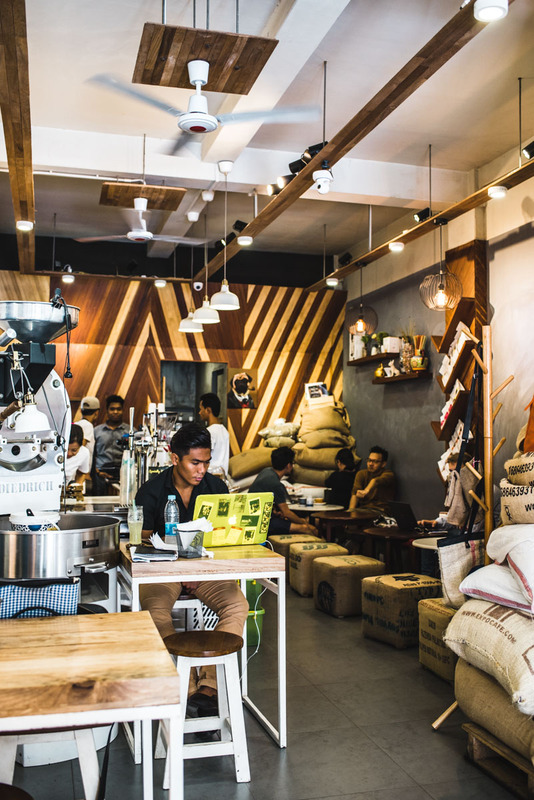 You’ll no doubt find heaps of other cool cafes on the same street as new ones tend to pop up all the time. The Esperado is located on the roof of a hotel (also called Esperado) on the eastern shore of Lake Kandawgyi. Don’t expect too much in terms of ambience, but the view of the lake together with the Shwedagon Pagoda in the background is stunning, especially at sunset. Cocktails cost about $4 which we reckon is rather affordable. We spent three nights at “The Hotel Mawtin” which we highly recommend. The rooms are a bit small, but clean. We found the bed to be just above average in terms of comfortability (and that’s high praise considering we are rather fussy!). The bathroom could do with a renovation but it was fine as it was. Breakfast-wise we would have liked a bit more variety, as you get a little bored after three days of just toast with jam. But then again, you shouldn’t expect too much from breakfast in Asia. 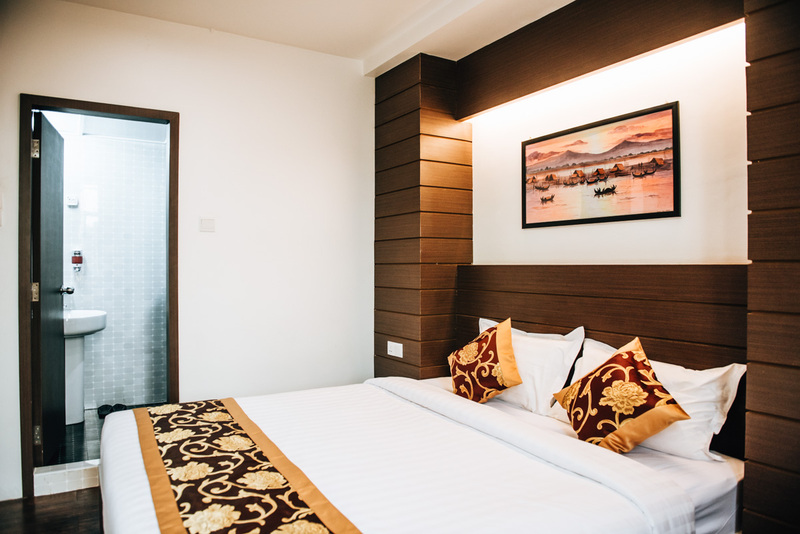 The hotel is located at the western end of the old town between the 8th and 9th streets, so you shouldn’t have any troubles reaching places like Chinatown by foot as it’s just a short walk away. 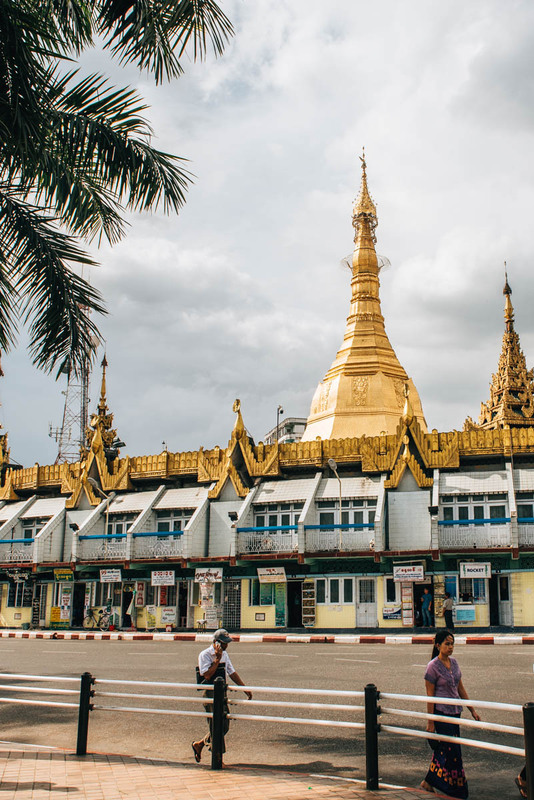 Getting to the sights outside the city centre (like the Shwedagon Pagoda), you’ll need a taxi. 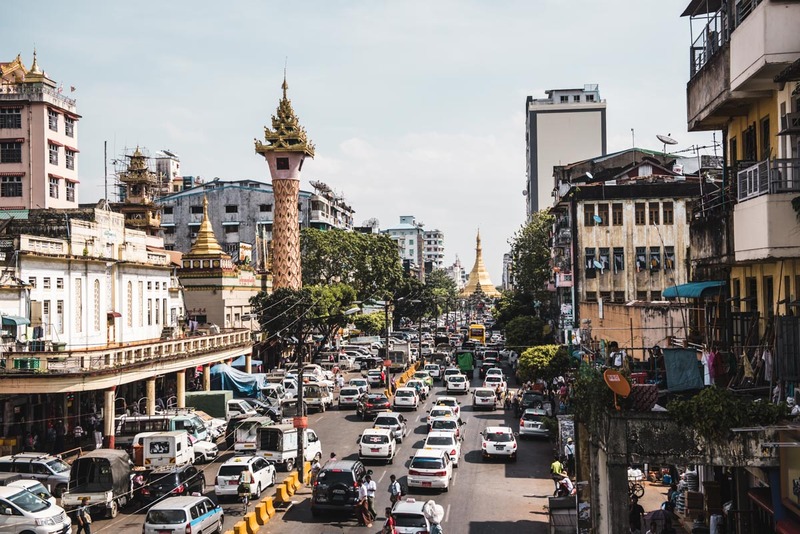 Have you ever been to Yangon, if so, do you have some tips you’d like to share? Or are you planning on going to Yangon and have some questions for us? 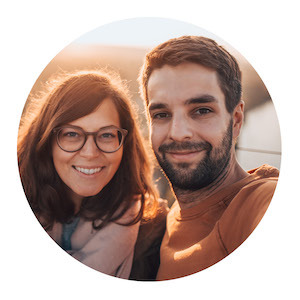 We always love hearing from you so leave us a comment! 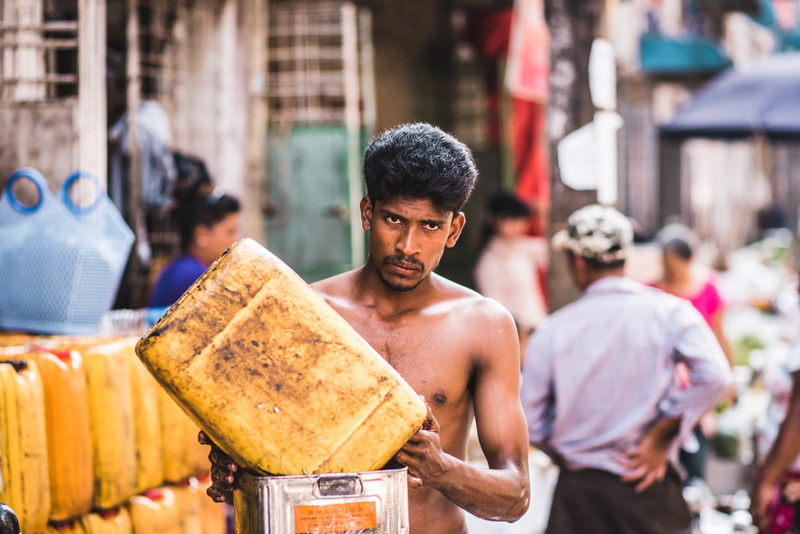 Great blog, fantastic info, and I love the photography. I am considering a trip to Myanmar, so I’ve just started reading through your posts – thanks so much for everything you’ve shared – valuable info, for sure! Looking forward to exploring more of your posts – cheers!